Dining Event Chairman Tisa Foster and Co-Chairman Tracy Clause plan to say “Cheers to 50 Years” at the buffet dinner at Tommy’s Restaurant and Oyster Bar Sunday, July 12. The biggest and most anticipated event of the Lunar Rendezvous Festival is always the Coronation Ball, which will be held Saturday, July 25, starting at 5 p.m. at the San Luis Convention Center in Galveston. Not only is a new queen crowned, a queen alternate is also introduced, and fathers and mothers get to step into the spotlight with their young princesses and lieutenants, little ladies in waiting and pages – an evening all will remember the rest of their lives. 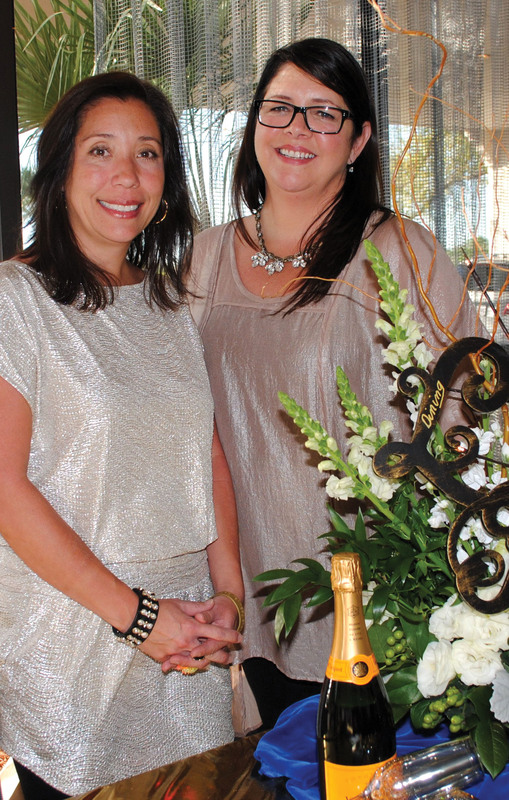 Elizabeth Olin is chairman of the 50th annual Coronation Ball with Katie Jones as co-chairman. Court Co-Chairmen Melanie Lovuola and Kathie Panneton, who, incidentally, are not only long-time festival volunteers but also mothers of former festival queens, are looking forward to the vote by the royals, when one of the young women will be crowned 2016 queen, another queen alternate, and one of the young men will be elevated to the rank of captain. And, the youngsters will charm the audience. 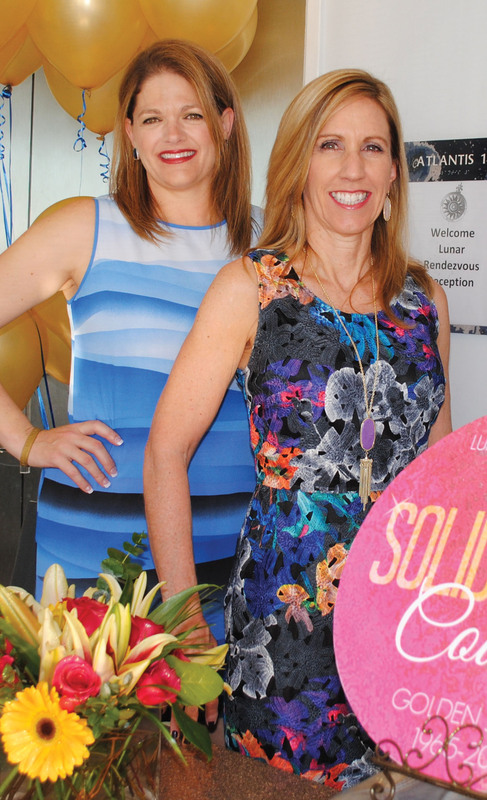 Michelle Holland, left, and Debby Reichert are co-chairing the big 50th anniversary Lunar Rendezvous Fashion Show Tuesday, July 21 at the San Luis Convention Center in Galveston. Sophia Louise Tolman, Lisa and Cyrus Tolman; Nicole Tran, Kim and Joseph Tran; Grace Adams Turley, Lu Ann and Wendal Turley; Ali Watson, Dede and Paul Watson; Jenna Morgan Westall, Domineque and Eric Westall; Rayne Lea Williams, Brook and Forest Williams; Mary Claire Williamson, Melissa and Peter Williamson; Samantha Lynn Willis, Vicky and Willie Willis; Claire Wilson, Suzie Wilson and Mark Wilson; and Cassidy Diana Wolfer, Andie and Eric Wolfer. Paxton Leboe, Sheri and David Leboe; Jonathan Paul Peck, Thu Hong and Gregory Peck; Kyle J., Ruszkowski, Stacey and Kevin Ruszkowski; Zachary Edward Schneider, Paula and Trey Schneider; John Sinor and Michael Sinor, Jenny and Mark Frantz and Keith and Rae Sinor; Hayden Carlisle Smith, Melanie and Carlisle Smith; Andrew Lee Sterling, Delinda and Michael Sterling; Evan Michael Walker, Michele and James Walker; and Zachary Clemons Walker, Stephanie and Gordon Walker.